Costa Doors has earned the reputation of being recognised as an industry leader in the manufacture and supply of Quality Solid Timber Doors and Timber Products. 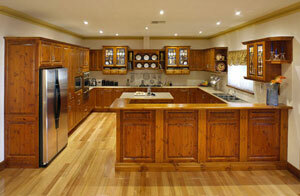 We are proudly an Australian owned family business with our manufacturing base in South Australia. We pride ourselves on producing only the highest quality Painted and Solid Timber Doors and Products for kitchens and furniture. Our Award winning Yesterday's Collections™ Solid Timber Cabinet Doors, Bench Tops and Timber Products are manufactured using only the highest quality timbers which will add a warmth and natural beauty to any enviroment. Our Custom Made Painted and Solid Timber Cabinet Doors range can be supplied finished ready for fitting in five different finishes or Raw (Finish sanded ready for stain and/or finish polishing).